In the last year, the eCommerce industry has expanded by over 25 percent, and this boom is projected to continue. With such a wealth of eCommerce businesses, and competition set to become even more fierce, staying visible and relevant has never been such a challenge for online retailers. The advent of artificial intelligence (AI) has made competing in this crowded marketplace possible — even for small eCommerce businesses. Intelligent deployment of AI tools such as natural language processing (NPL), machine learning (ML), and data mining allows companies of all sizes to attract and retain customers with the minimum of input. Here are ten ways in which AI can help eCommerce businesses. While this may not sound like an obvious place to start, research shows that the use of a virtual personal assistant (VPA) is rated as the most impactful AI tool by 31 percent of business executives. A VPA is a never-sleeping, never-tiring assistant who makes use of NPL to understand human speech and respond or take action as required. This is useful both as a time-saver for executives and as a tool for customers. By next year (2020), 80 percent of all customer interactions will be handled by AI. Chatbots are fast becoming an indispensable tool in customer service; as a replacement to call centers, they are significantly cheaper and more efficient. 67 percent of consumers have used a chatbot for customer service in the last year. This remains a tried and tested AI tool based on NPL and ML techniques. Chatbots can be integrated into shopping carts, online support, and order processes. So much information is shared on social media, and by listening to what potential customers are saying. Businesses can gain insight into new markets and understand how their current products and strategies are working. Keyword or brand name tracking in social media can be performed efficiently through data mining. This data can then be condensed into actionable feedback to improve the customer experience and the brand’s reach. ML tools analyze consumer data and optimize eCommerce sites to provide targeted marketing. Each consumer sees what they want to see — how they want to see it — and when they want to see it. The more customer data gathered, the better the optimization will be for that customer. 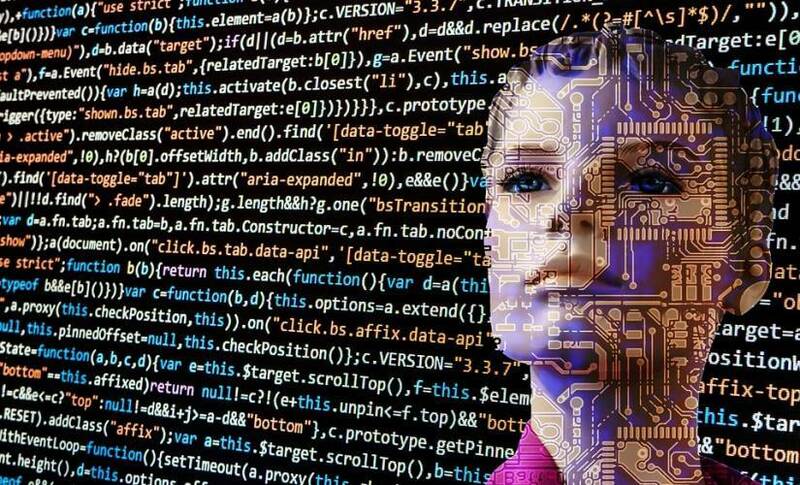 Trawling through such a wealth of information in person would take years, but through machine learning (ML) and AI insights these optimizations can be done quickly. Companies can continuously update information concerning their customers with newer information — so that customers/clients remain engaged. With so many companies and products vying for attention, consumers gravitate towards those sites that appear personal to them. Personalization is taking over how we buy. By utilizing information on customers that is widely available through their online presence, businesses can provide personalized ads, make relevant recommendations, and craft specific content for them. This would not be possible without the power of AI to sift through the data. Marketing budgets are often wasted when sales teams don’t follow up with leads. In one survey, marketers revealed that 33 percent of their leads never receive a follow-up. Potential buyers fall through the cracks, but techniques such as facial recognition and predictive tools are allowing businesses to identify brand loyalties and product preferences of their customers. Using this information to offer more relevant suggestions and offers saves a lot of time and information sifting for customers/clients. Sales also get a boost from AI via new lead generation. High-quality prospects can be identified by analyzing the data of millions of potential customers and recognizing those who meet specific criteria. No matter where an eCommerce business is based, mining location-based intelligence from customer data allows them to appear local. By offering location-based offers, location-specific advertising, and predicting locational trends local customers can raise the efforts of businesses in their own towns. This extra level of personalization significantly impacts the utility of a site for users by prioritizing offerings that appear unique to their area. Data mining and ML allows for efficient and timely processing of millions of datasets to assist with every aspect of a business. As consumers become used to more and more technology in their homes and on their person, the expectation for these technologies to work together increases. Using AI to integrate a retail platform with existing devices, such as smartphones, fitness trackers, and even household appliances streamlines customers’ shopping experiences and attracts them to companies that offer these options. ML in an eCommerce site’s search function enables stores to “remember” the habits of each visitor, how they search and their preferences. Using this information the next time that customer returns speeds all service up for them. Intelligent searching is also possible with AI; by recognizing the user’s individual characteristics the technology can predict what each user wants almost instantaneously. Through analyzing product details and what is being searched for, complementary products can also be suggested proactively. Consumers are more likely to find and purchase more items on sites that utilize these technologies. eCommerce companies across the globe are already implementing many of these tools to increase their efficiency and reach wider audiences. Retailers like Amazon, eBay and Alibaba are heavily investing in AI technology. The beauty of AI is that is doesn’t require an Amazon-sized budget to stay competitive with these industry giants. CEO of BairesDev, a technology services company that specializes in software development, software outsourcing, and testing solutions.